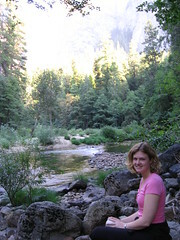 This map shows various points of interest in Yosemite National Park in California and includes some photos from our family vacation there in September 2005. 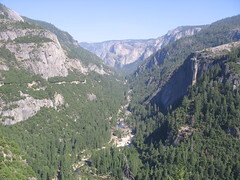 As we came out of a tunnel, we could see the valley stretching off to the right. It's really an amazing view! 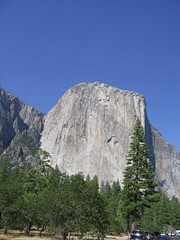 Upon entering the valley, this was our first view of the great "El Capitan." 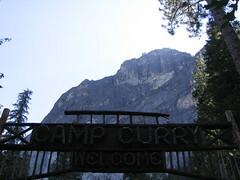 Our home in Yosemite -- the Curry Village tent cabins. They were definitely rustic! 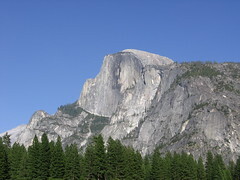 At the end of the Curry Village driveway was a perfect view of Half Dome. 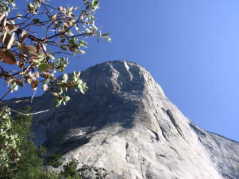 I wish I could claim that we actually climbed the tallest granite monolith in the world (affectionately called as "El Cap" to those who know it well), but we had to content ourselves with a little hike up to the base of the actual cliff and a couple photos of our faux climb. We did run into the climbers we had met the day before, and we got to see them off for their big adventure. The Ahwahnee is one of the most beautiful old lodges in the country. The architecture and decor give it a true "old world" feeling. Yosemite National Park and Ansel Adams go hand in hand. 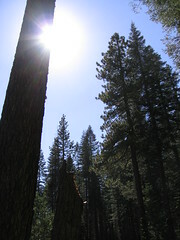 This gallery features many of his original photographs taken in the park over a period of about 50 years. This store has general supplies -- from food to camping gear to souvenirs. 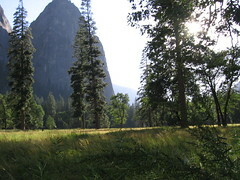 It's in the heart of Yosemite Village in the valley. 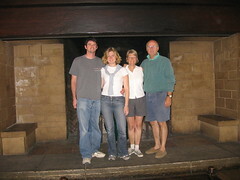 Yosemite Lodge is one of the many places to stay inside the park. It boasts a couple different dining options, and this is where we ate our first night in the valley. There is also an outdoor theater here, and we were able to watch a slide presentation on some of the earliest climbs of El Capitan. 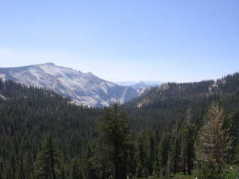 Tioga Road, which is only open in the warm summer weather, has beautiful views that stretch out for miles. It's fascinating to see hillsides that were ravaged by recent forest fires contrasted by thick pine woods in other areas. 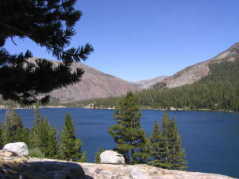 Tenaya Lake is a beautiful Alpine lake surrounded by pine trees and granite. The water's a bit cold for swimming, but it's a perfect spot for a hike or picnic. 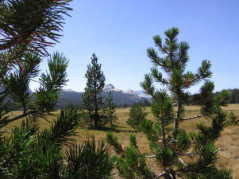 Tuolumne Meadows are expansive and beautiful fields with the High Sierras as their backdrop. This is an excellent area for hiking, star-gazing, and camping. 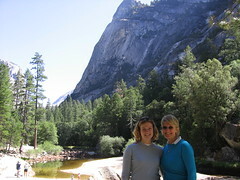 It is easily accessible as a day trip from Yosemite Valley, which we did on our second day in the park. 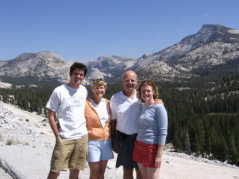 It's definitely cold up along the Tioga Pass, though -- even on Labor Day weekend, the temperature was getting down into the 20's at night!